I was anticipating long queue and to the certain extent, i even made an effort to eat something light just before i came here. When i was all ready to queue for at least 1 hour or more, i was so amazed to find out that there was no queue during lunch. What happened? i thought they are newly opened for less than 3 months? 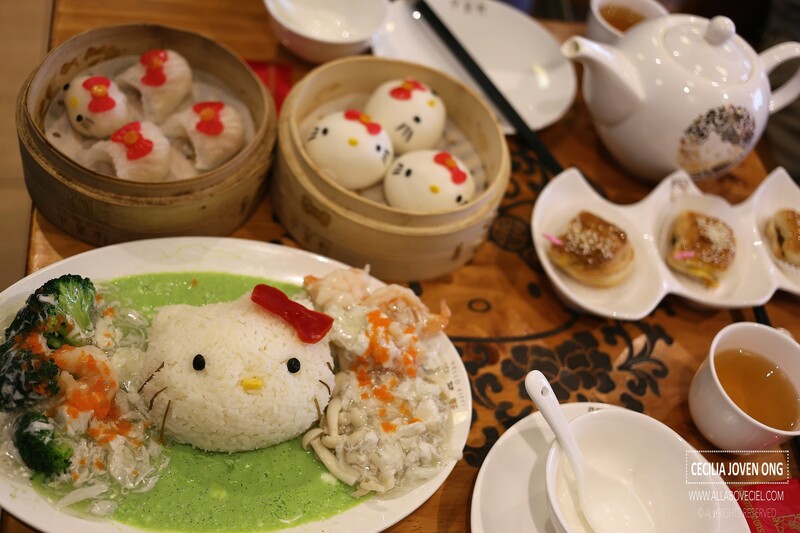 i thought it was reported that Hong Kongers and tourists were so crazy about this Cantonese style Hello Kitty restaurant as this is the first one in this whole wide world to serve chinese dishes including dim sim in the shape of this famous cat? Perhaps i was just thinking too much, it might just be one of my luckiest days when there is no queue. We did not even need to wait for a table as we were immediately ushered to a table of 2. There were still quite a few empty tables at that time. 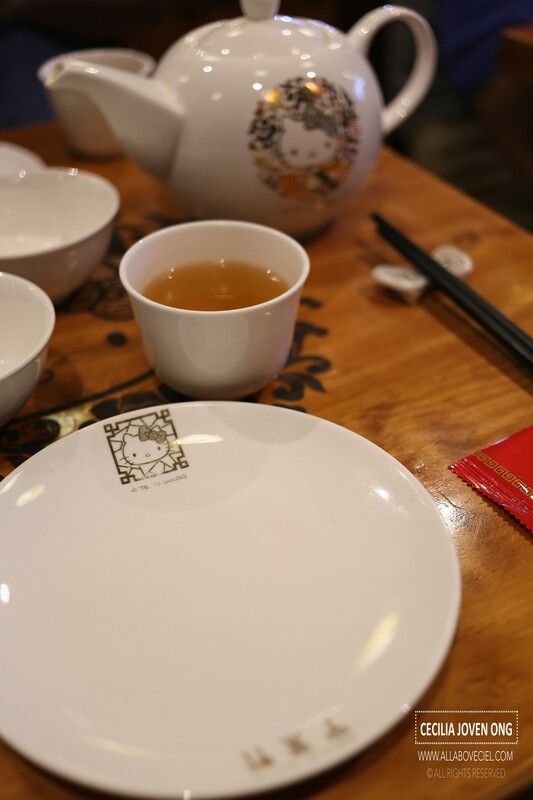 And, almost everything is this restaurant has Hello Kitty printed on and that including tables, chairs, bowls, plates tea pots and so on. 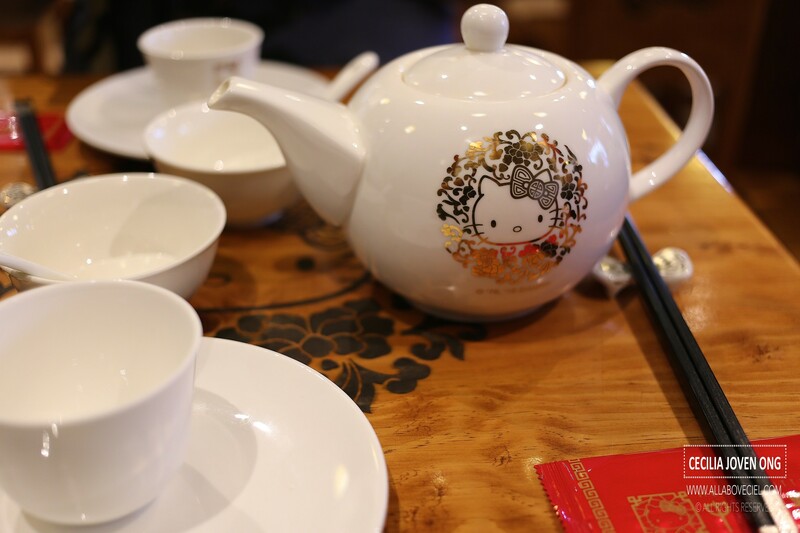 The interior of the restaurant is a combination of traditional Chinese with the influence of Hello Kitty. 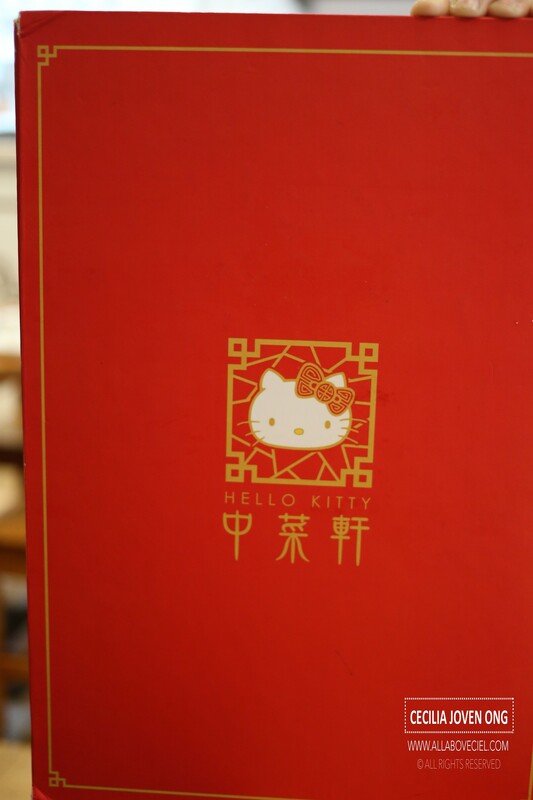 We were presently rather quickly with their bigger than A4 size menu with Hello Kitty printed on its cover. 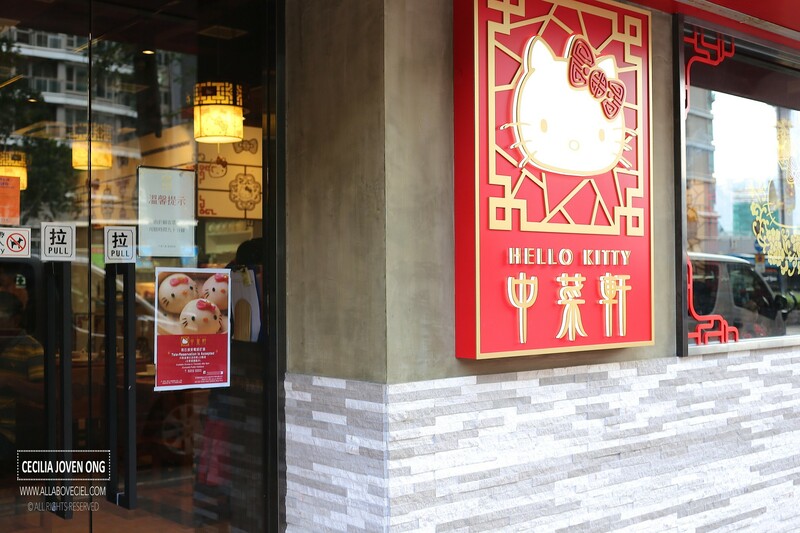 Most of the dishes on their menu has a Hello Kitty touch including those Chinese dishes like Glutinous Rice, Fried Beef Horfun, Steamed Minced Meat with Salted Egg and so on. 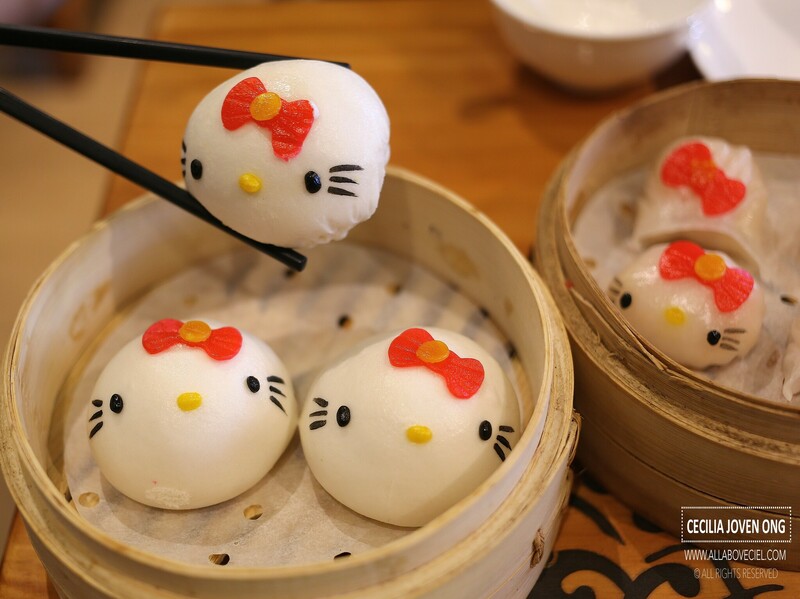 The popular Dim Sum dishes are those have the face of Hello Kitty created on it like the Salted Egg Custard Bun and Prawn Dumplings are extremely popular. 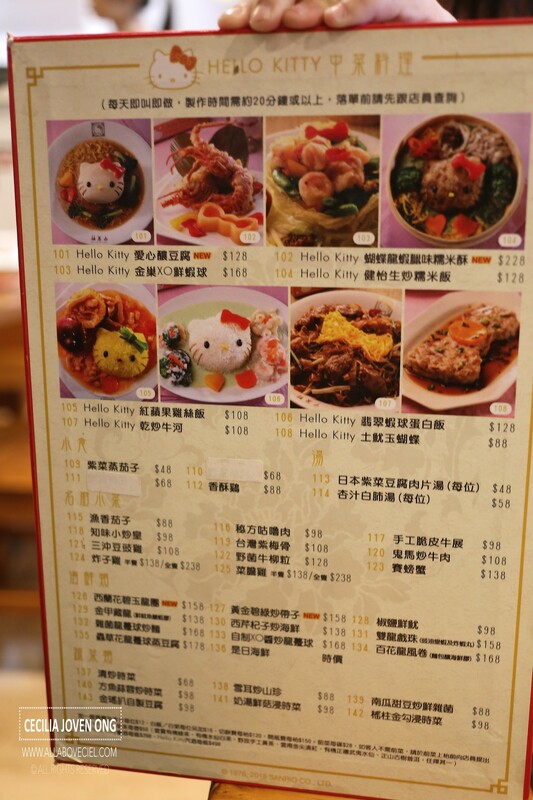 You could see Hello Kitty on almost everything and everywhere right in this restaurant. And that including the cover on the packet of wet tissue. First to come was the Char Siew Pastry for HKD $48 (3 pieces). 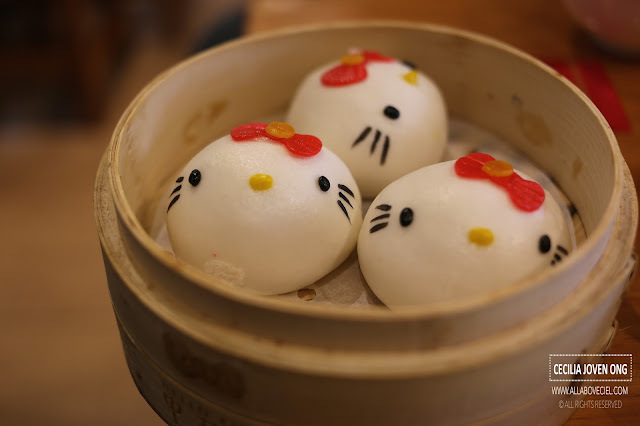 It was supposed to be in the shape of the head of Hello Kitty with bits of sesame seeds sprinkled on top then decorated with the plastic stick with the ribbon of Hello Kitty at the top. Apparently, these pastries did not taste as good as we expected it to be. 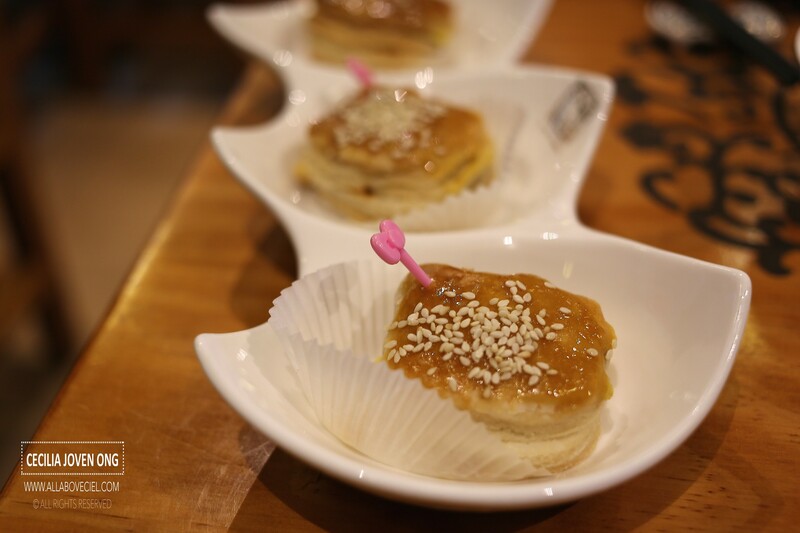 The pastry was rather light and flaky, it did not taste particularly buttery. 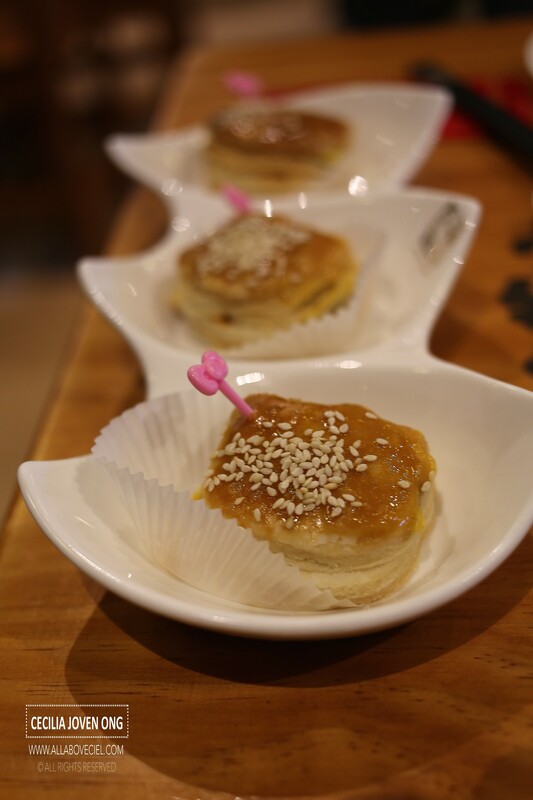 The filling consists of minced Char Siew was slightly too dry and not as flavorful. 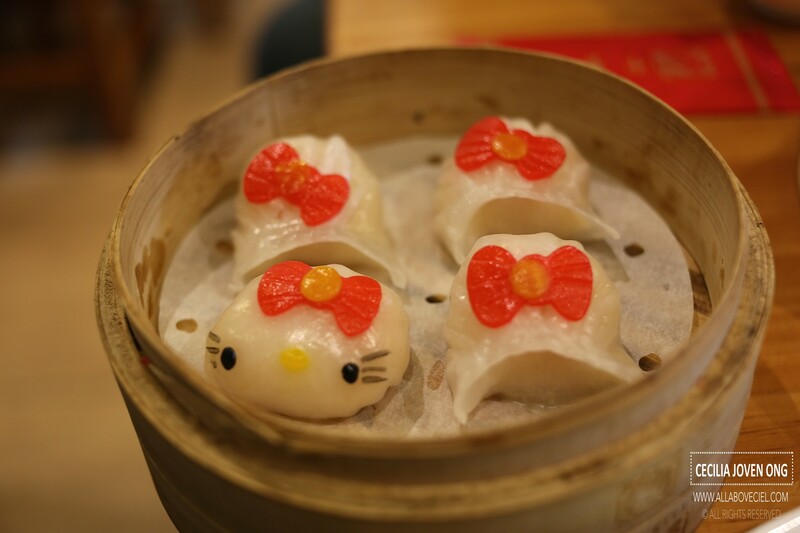 Next, came the Steamed Prawn Dumplings at HKD $68 for 4 pieces. 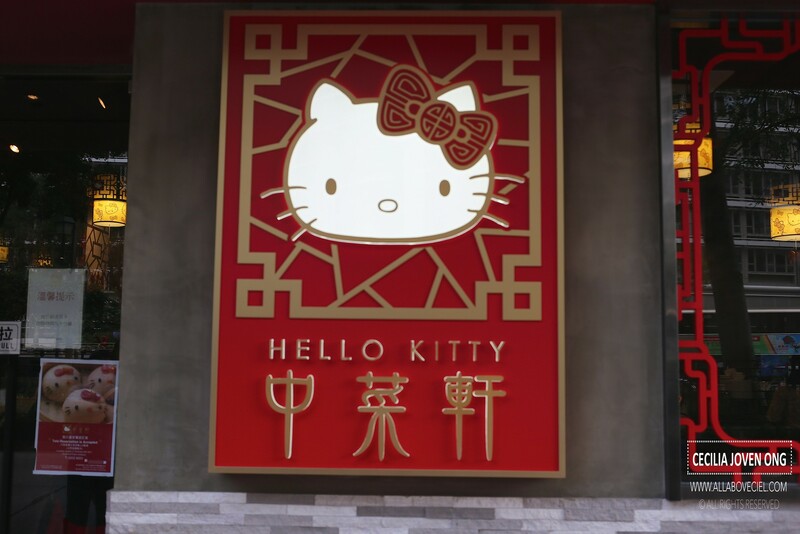 And, amongst the 4 pieces, only 1 piece has got the eyes and nose of Hello Kitty with the ribbon and the other 3 pieces have got only the ribbons on it. 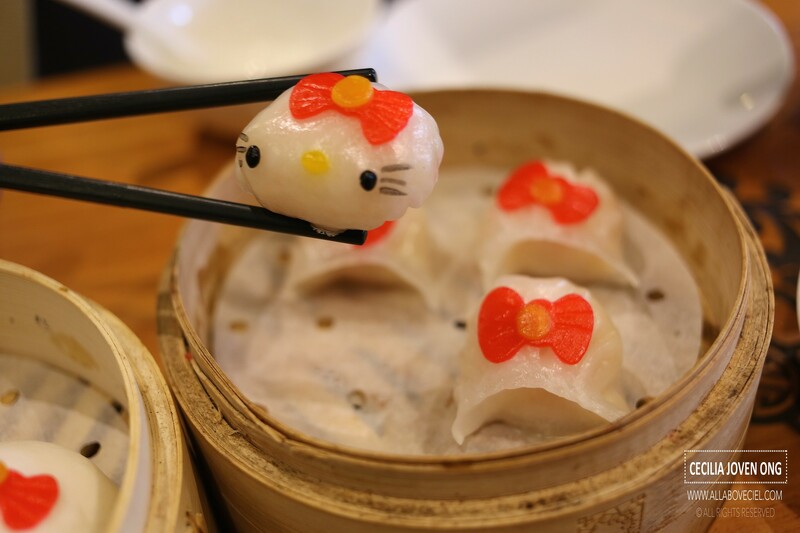 I took quite a bit of time to take the pictures and maybe these Steamed Prawn Dumplings were left it for a bit too long, the skin was slightly harden though it was still moist beneath. 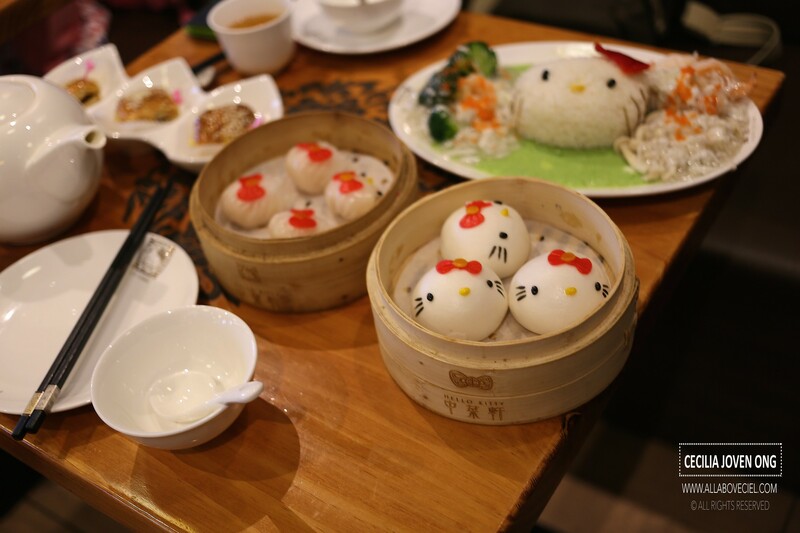 It was cute to look at but the taste was not too memorable. 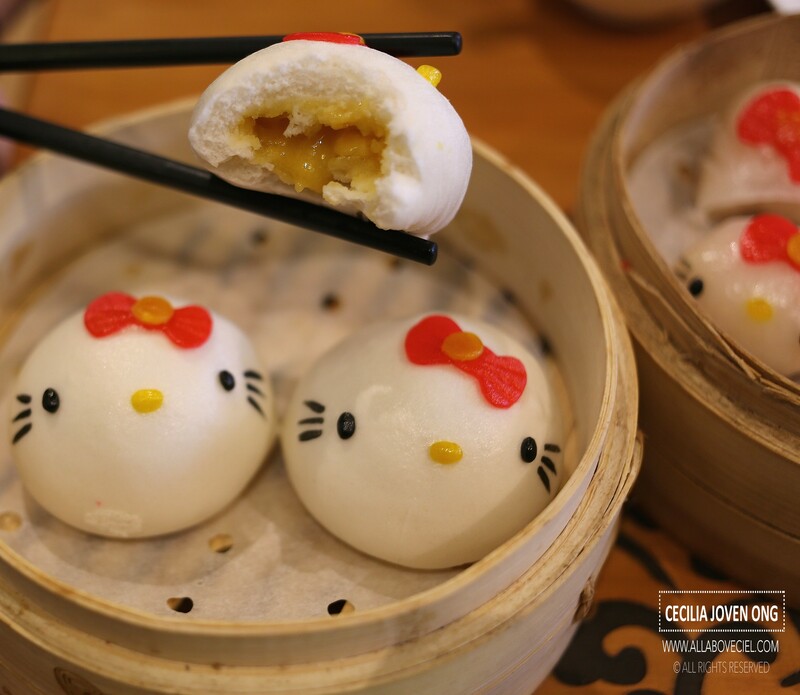 The Salted Egg Custard Buns were served next, it consists of 3 pieces for HKD $62. It might have been left it for a bit too long, the Salted Egg Custard within was not as flowing and the skin was slightly dry. 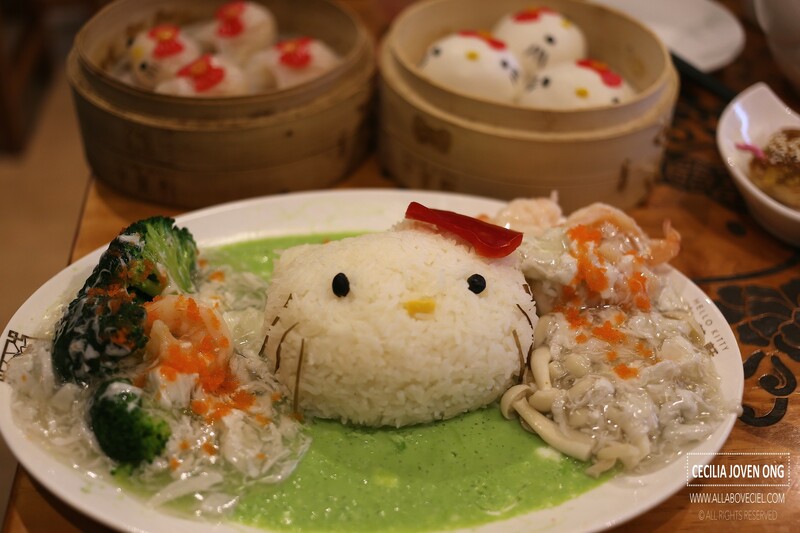 The last dish that came was the broccoli with prawns served along with the egg white, mushroom and rice for HKD $128. The rice itself was a bit not moist but slightly dry and a bit hard. Those egg white tasted bland and the texture of those broccoli was not soft enough but those prawns tasted quite fresh though. The overall taste was quite disappointing. 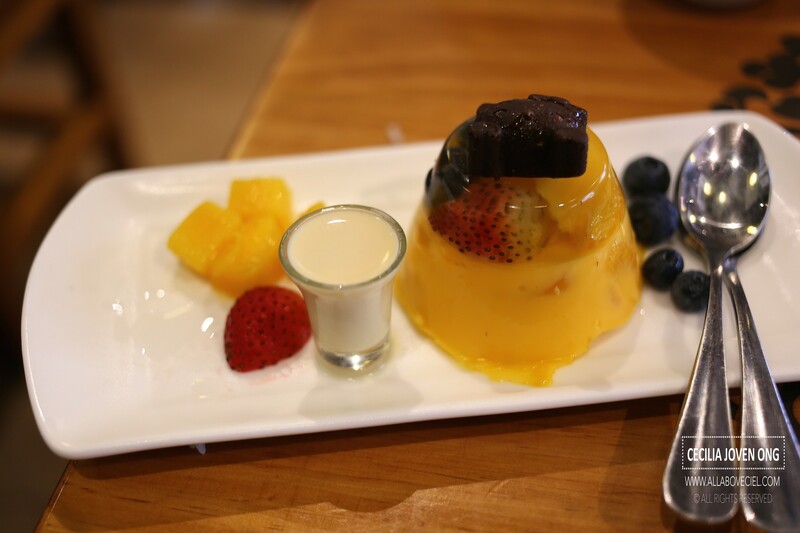 We ordered a Mango Pudding for HKD $58. 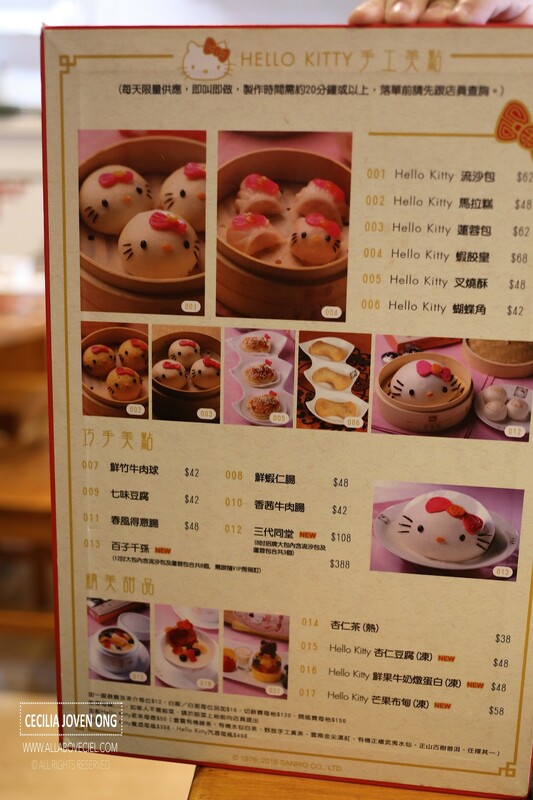 It consists of a layer of jelly that have got slices of strawberry and mango in it then topped with a piece of chocolate in the shape of Hello Kitty. It was served with condensed milk in a small container together with a few pieces of blueberries, a slice of strawberry and few cubes of mango. We did not particularly enjoyed this though. 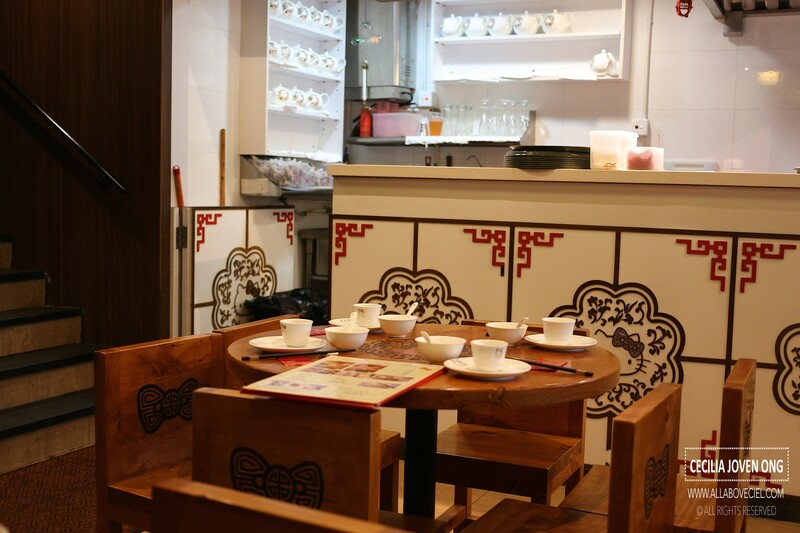 Their exact location is about 3 minutes walk from the Jordan MTR.